Siemens found a DROWN (Decrypting RSA with Obsolete and Weakened eNcryption) attack can affect some products under certain conditions, according to a report with ICS-CERT and on Siemens ProductCERT. While Siemens did create a patch for the SCALANCE X200 IRT family with V5.3.0, it recommends specific countermeasures for all the other products until patches are available for the remotely exploitable vulnerability. Exploits that target this vulnerability are publicly available. SCALANCE-X switches connect industrial components like PLCs or HMIs. Siemens RuggedCom ROX-based VPN endpoints and firewall devices connect devices that operate in harsh environments such as electric utility substations and traffic control cabinets. According to Siemens, these devices see action across most sectors including chemical, communications, critical manufacturing, dams, defense industrial base, energy, food and agriculture, government facilities, transportation systems, and water and wastewater systems. Siemens estimates that these products see use on a global basis. A cross-protocol attack could allow an attacker to decrypt intercepted TLS sessions by using a server supporting SSLv2 as a Bleichenbacher RSA padding oracle. CVE-2016-0800 is the case number assigned to this vulnerability, which has a CVSS v3 base score of 4.0. Crafting a working exploit for this vulnerability would be difficult. In order to exploit the vulnerability, the attacker must have network access to the affected devices and must be in a privileged network position. In one mitigation, for the SCALANCE X200 IRT family, Siemens released update V5.3.0 and encourages customers to apply the update as soon as possible. •	Protect network access to the web server (443/TCP, 10000/TCP for ROX I by default) on the devices with appropriate mechanisms. •	Restrict access to management interface to internal network. As a general security measure, Siemens recommends to protect network access to nonperimeter devices with appropriate mechanisms. Siemens said to configure the environment according to its operational guidelines in order to run the devices in a protected IT environment. 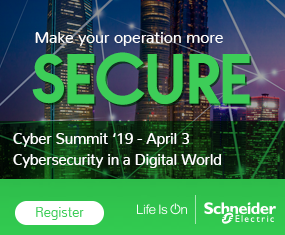 For more information on these vulnerabilities and detailed instructions, please see Siemens Security Advisory SSA-623229.